-	Look at the door; place the WATER EMBLEM in the top circle, the SUN DISK in the right circle, the SEED DISK in the left circle, and the EARTH DISK in the bottom circle (S). -	Enter the door (T). -	Look at the tree and take the EARTH MUSHROOM HERB (U). -	Take the PURPLE CARROT (V). 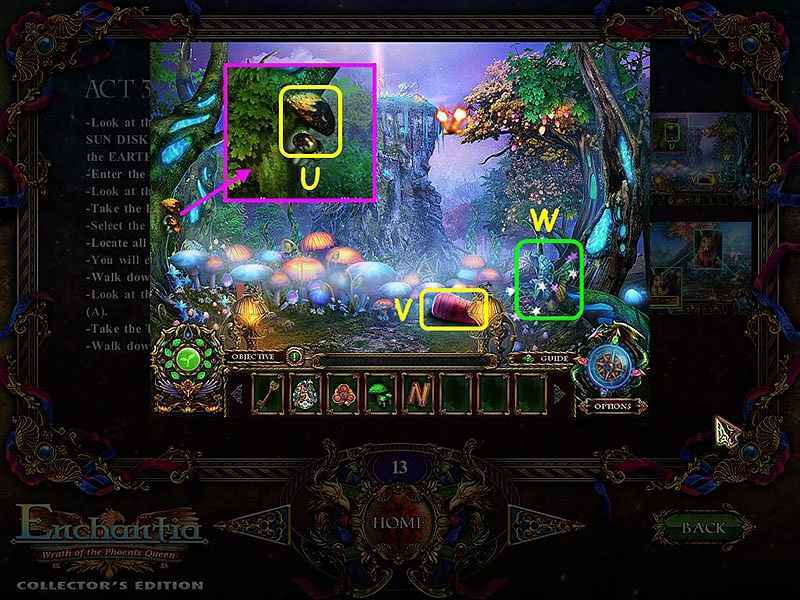 -	Select the fairy statue for a HOS (W). -	Locate all the fragments (X). -	You will earn the ELF SCEPTER. 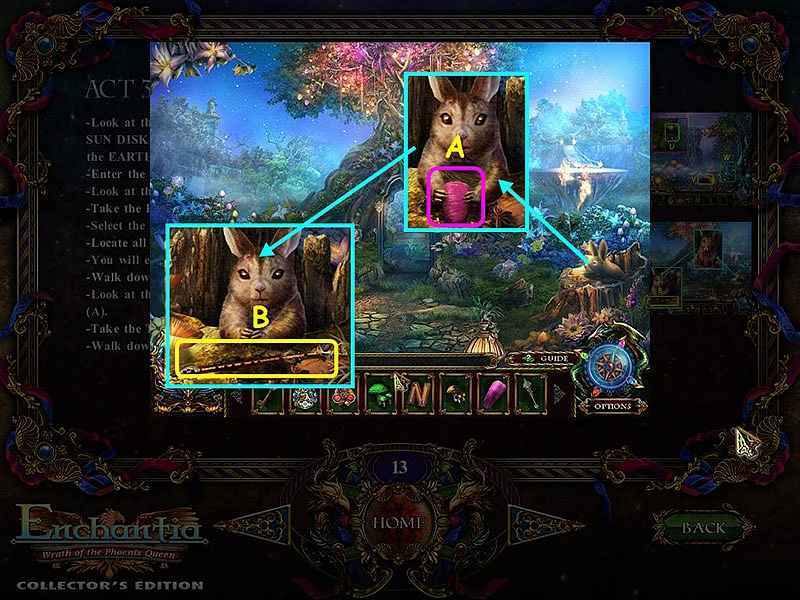 -	Look at the hoarding bunny and give him the PURPLE CARROT (A). -	Take the TREE FLUTE (B). -	Walk down, go left, then enter the waterfall.